Last weekend I successfully upgraded, ahem, migrated the lab infrastructure from Microsoft Exchange 2003 to Exchange 2010. This upgrade has been on my agenda for quite some time but I had been delaying it mainly due to lack of time and thorough knowledge of the steps. I had a purchased the Microsoft Exchange Server 2010 Administrator’s Pocket Consultant (ISBN: 978-0-7356-2712-3) in January and marked up a few pages with a highlighter. However, the deeper I got in the book, the more daunting the task seemed to have become, even for a simple one-server environment like mine. In my mind, Exchange has always been somewhat of a beast, with increasing levels of difficulty as new editions emerged. The pocket consultant series of books are wonderfully technical, but they haven’t been able to fit in my pocket for about a decade. They contain so much content that it has become difficult to rely on them as a CliffsNotes guide for platform upgrades, especially when it comes to Exchange. Naturally the Exchange server is virtualized on VMware vSphere. My Exchange environment is built upon a foundation that dates back as far as Exchange 5.5 (pre-Active Directory). There would be no in place upgrades. 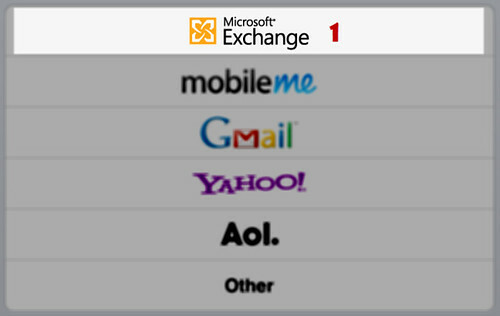 Exchange hasn’t provided an upgrade since Exchange 2003. That suited me just fine as the Exchange 2003 server has been through so much neglect, although it had gotten pretty slow, it’s a miracle it was still functional. The Exchange migration will consist of bringing up a fresh OS with a new installation of Exchange, and then migrating the mailboxes and services, and then retiring the old Exchange Server. Microsoft calls this a migration rather than an upgrade. Exchange must be running in Native mode. Not a problem, I was already there. The Schema Master mast be running Windows Server 2003 SP1 or higher. There needs to be at least one Global Catalog server at Windows Server 2003 SP1 or higher in the Exchange site. The AD forest needs to be at Server 2003 Forest Functional Level or higher. The AD domain needs to be at Server 2003 Domain Functional Level or higher. For migration flexibility purposes, Exchange 2003 and Exchange 2010 both support DFL and FFL up to Server 2008 R2. Exchange 2010 requires 64-bit hardware. No problem, that requirement was met with vSphere . Exchange 2010 can be installed on Windows Server 2008 or Windows Server 2008 R2. I naturally opted for R2. No sense in deploying a two-year old OS when a more current one exists and is supported. Plus, I personally need more exposure to 2008 and R2… 2003 is getting long in the tooth. Copy the Exchange DVD to a data/utility drive on the server. Reason being, you can drop the most recent rollup available into the \Updates\ folder and basically perform a slipstream installation of Exchange with the most recent rollup applied out of the gate. As of this writing, the most current is Rollup 3. Other sample pre-requisite installer scripts can be found here. The 2007 Office System Converter: Microsoft Filter Pack (x64) is required to be installed. This is downloadable from Microsoft’s website. A little strange, but I’ll play along. It’s required for the Exchange full-text search engine to search Office format documents. Setup logs for Exchange are found in C:\ExchangeSetupLogs\ The main one is ExchangeSetup.log. Hopefully you won’t have to rely on these logs and you are blessed with a trouble-free installation. Installation can be invoked by CLI with setup.com /mode:install /roles:ca,ht,mb however, I chose a GUI installation which was more intuitive for me. The article stated the installation would take at least 20 minutes on fast hardware. My installation took less than 15 minutes on a VM hosted by four year old servers attached to fibre channel EMC Celerra storage – bitchin. A Send connector is required before Exchange 2010 will route mailto the internet. Exchange 2010 ships with two Receive connectors but they must be configured before they will accept anonymous email from the internet. Exchange 2010 is managed by the Exchange Management Console which is called the EMC for short. That will be easy to remember. Exchange 2010 is also managed by PowerShell scripts (also called an Exchange Management Shell, or EMS for short). There are some configuration tasks which can only be made via PowerShell script and not via the EMC. Mailboxes are no longer moved online due to their potential size and problems which may occur if a mailbox is accessed during migration. Mailbox migrations are now handled via EMC by way of a Move Request (either local [same org] or remote[different org]). When a move request is submitted, the process begins immediately but may take some time to complete obviously based on the size of the mailbox as well as the quantity of mailboxes multiple selected for the move request. Tony Redmond wrote a decent article on how this is done. Scheduled move requests can be instantiated via PowerShell script. 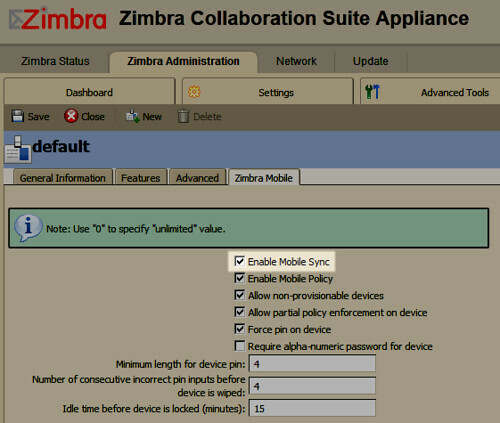 In the legacy Exchange 2003 System Manager, there are two Recipient Update policies which exist. Going from memory, one was for the domain which I was able to remove easily, and one was an Enterprise policy which cannot be removed via the System Manager. Follow the instructions near the end of this article for the procedure to modify Active Directory with adsiedit. The second error message deals with removal of the legacy Routing Group Connector. There were actually two which needed to be removed. The only way to remove the Routing Group Connector is via PowerShell and it is also described towards the end of this article. After addressing the issues above, the uninstaller ran briefly and then failed for an unknown reason. Upon attempting to re-run the uninstall, I noticed the ability uninstall Exchange 2003 via Add/Remove Programs in the Control Panel had disappeared, as if it was successfully uninstalled. Clearly it was not as the Exchange services still existed, were running, and I could launch System Manager and manage the organization. ActiveSync doesn’t work out of the box on privileged administrator level accounts due to security reasons. If you accept the risk, this behavior can be changed by enabling the inheritance checkbox on the user account security property sheet. I’m pretty happy with the results. The process took took quite a few steps but I am nonetheless pleased. Careful work following a very nicely outlined procedure by Michael B. Smith has yielded both a snappy-fast Exchange 2010 server on Windows Server 2008 R2 as well as ActiveSync integration with my iPad. Exchange 2010 is a beast. I can’t imagine tackling an Exchange project for anything larger than the smallest of environments. I’m not sure how I can have so many years experience managing my own small Exchange environment yet still lack the confidence in the technology. I guess it mostly runs itself and as I said earlier, it’s quite resilient meaning it doesn’t require much care and feeding from me. And thank God for that. I often hear questions or concerns about virtualizing Exchange. E-Oasis found a new VMware white paper and provides a nice lead in explaining how VMware corporate took their physical servers and migrated to virtual, reducing aggregrate hardware usage. One might ask why VMware’s Exchange servers were not virtualized before this, particularly when VMware was a smaller company with less mailboxes? Perhaps they decided earlier versions of Exchange were not virtualization candidates? Maybe limitations in earlier version of ESX made it less than attractive? 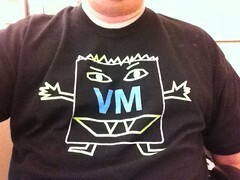 I don’t know why but it would have been cooler to see VMware put their money where their mouth is earlier on. Perhaps someone from VMware can chime in on a comment here. At any rate, it’s an absolutely beautiful white paper and I’m actually surprised at the level of detail some of the diagrams get into providing network host names and IP addresses for the infrastructure. I suppose they could be ficticious, but the names look rather authentic and not made up to me. Kudos. Take a look at VMware’s whitepaper here.